I’ve read the letter of 1 Timothy many times in my life, but recently there was a passage that particularly caught my attention. In chapter 3 verses 14-16, Paul writes to Timothy so that he knows how to behave in the case that Paul is delayed. In this context Paul gives to Timothy an insightful definition of godliness. This is where my attention was caught. Paul defines godliness as nothing more and nothing less than Jesus. This seems pretty obvious, but I don’t think most of us would have defined it the way Paul does. And what does this really mean for us? How does this look in our lives? I think most of us would define godliness as morality. We assume that our godliness is determined by what we do or don’t do, but Paul had something else in mind. He doesn’t give us a list; he gives us Christ. The problem with morality being the definition of godliness is that when we pursue morality we either, fail and get discouraged, or we succeed and get prideful. 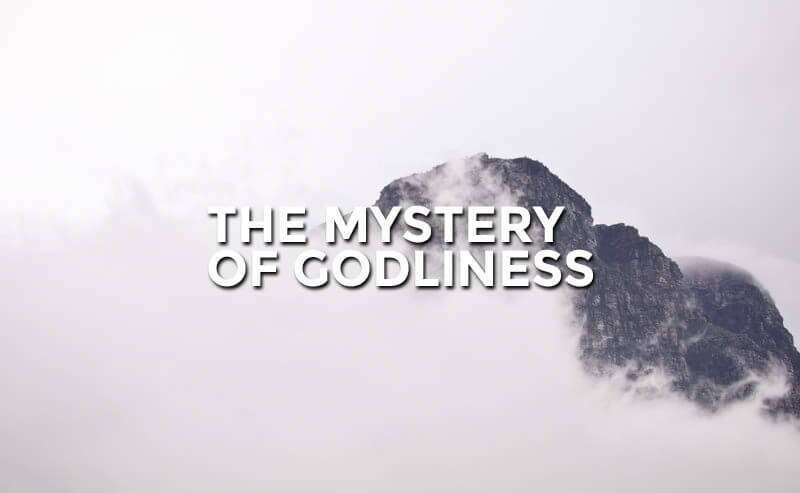 Biblical godliness consists of much more than morality. Biblical godliness gets to the root of who you are and what you believe. It gets to your heart and what it desires. There are two mistakes that you can make in pursuing godliness. The first is to define it as mere morality like I previously mentioned. The second is to write off morality and obedience as unimportant. Both of these viewpoints are very different than the Bible’s definition. The problem with morality being the definition of godliness is that when we pursue morality we either, fail and get discouraged, or we succeed and get prideful. See we can’t just say godliness is all about morality because we know Jesus is after our hearts. He longs to captivate our affections. However, we also can’t say that morality doesn’t matter either. So what is godliness? Godliness is character and conduct determined by the principle of love or fear of God in the heart. It consists of knowledge, respect/awe, affection, dependence, submission, gratitude, and obedience. Godliness is reverence manifested in actions. Morality is an effect of godliness but not the essence of godliness. Godliness has to start inwardly. It’s when the Gospel begins to affect the very core of who you are, that real change begins to occur. So how do we pursue godliness when it’s not something we can only pursue outwardly? Paul defines godliness as Jesus. So the path to godliness is affection and desire for the one more beautiful than all creation. The battle for obedience is a fight of faith. Faith in Jesus is what saves us, and faith in Jesus is what causes us to fight against sin. The battle for obedience is necessary because it is always a fight against unbelief. When we seek Jesus, to know him and see him more clearly, it will affect us in the deepest levels of who we are; and this is the pursuit of true godliness. This is why morality is a part of godliness. Because it’s the fight to believe the one we love. It’s a fight to believe what our Father in heaven tells us. Every sin is rooted in a lie that we choose to believe about God. I think Tim Chester says it well, “Sinful acts always have their origin in some form of unbelief; behind every sin is a lie. The root of all of our behaviors and emotions is the heart, what it trusts and what it treasures. People are given over to sinful desires because they exchanged the truth about God for a lie”. We pursue godliness by trusting and treasuring Jesus. If we really trust him then our actions will show it. If we really treasure Christ above all else then our lives will be the proof. When we seek Jesus to know him and see him more clearly, it will affect us at the deepest levels of who we are. This is the pursuit of godliness, knowing the love of Christ that brings true freedom and changes us from the inside out.